I brought this out to see if it was as boring as I remembered, and it was. Every round you make pretty much the only sensible choice that there is to make, and if you’re lucky you get points and if you’re not you don’t. Whoopy. Elad finished with 0,2,2,2,1 types or something like that, and I was second with 0,2,1,1,1 or something like that. Everyone else had less than 4 types. First game for Elad, second for me and Nadine. This is not Nadine’s kind of game: many different options on one turn, and no way to calculate them all, so she ends up paralyzed trying to figure out every possible point in every possible move. I just pick something that looks okay, figure out what will happen after a round or two, and go for it, and if I’m off by a move or pass up a better move then so be it; I usually do okay. The game was closer than the last one, where I won by a large margin. This time Nadine and I were within a few rounds of winning when Elad finished. First play for Haim, and also for Yael I think. Klara is a new attendee from Germany, volunteering in Israel. She is quite an experienced gamer. First play for Aaron and Lorenzo. Nadine forgot a few rules, but in the end the only one she forgot entirely was that you can only use one time cube at a time. Nadine writes: Lorenzo used Archer well. I forgot or didn’t know that you can only use one time cube per turn. I think it only happened once: Aaron turned a white to three yellows, then added two to each cube. Lorenzo added two to each die several times, but I think he had only modified with flipping, which is allowed. Lorenzo had the worker bonus card, so he was using six or seven dice. I was down to four dice, until I replaced one of his on the last round, after which the event card where you have to pay for each worker in the yellow building came out, so he lost one less coin. The “lose two influence” card was in a effect for a few rounds, which made it hard to get workers to place on cards. Lorenzo used the Archer to good effect; it lets you roll dice to place cubes on any event cards. I fought the cards because that was my bonus. They both realized this, even though they didn’t know that I usually don’t fight cards. I got a lot of money once from a red card, with which I bought points on a yellow card (not the cost 15 one). Aaron also did this. They both understood the game, even though they said it’s a hard game. It took Aaron a bit longer. Second play for Haim, and second play in a long while for Gili and Klara who had to relearn the rules. I made one change in the rules: you MUST take a cube every round, even if you are using the Well. This made the game FAR better, in my opinion, since taking the Well does not any longer give free turns to other, random, people. I did a combination of Council/Market and dying, while Klara did a combination of Council/Market and Church, which turned out to be slightly better. Haim did travelling and church, earning no Market points. Aaron tried a relatively balanced strategy, a little of everything. First play for Klara. Haim and Klara ended up drawing all but one of the coffins, and Aaron drew the last one. I don’t remember Haim and Klara’s scores, but Aaron triggered the game ending and I won. First plays for Klara. We played twice. This game went on for far too long (until 2 am). It took some 16 or 17 hands. Haim and I had sucky hands. Once in a while Haim made what I thought was a questionable play, but in the end it was often the right one (or at least the only option he had). Finally I had one or two good hands near the end, including one where I called Tichu over Nadine’s Grand Tichu, and both Haim and I went out first (for a swing of 500 points). Then we got to 980, and then to 990, and finally the game. Daniel came early to play Magic when David couldn’t make it. We did the usual draft. I played BWg, Daniel played BRg, if I recall correctly. Anyway, I thought I drafted and built okay, with some nice flyers and black creature control. I think I lost the first game with incorrect play. I kept attacking with a flying lifelink, but I could have done a bit more blocking with it instead. Anyway, he had more and bigger creatures, and when he finally sent my lifelink flyer (with enchantment) back to my hand, it was over. In the second game, I simply drew only very high casting cost cards while he took me out with 2 and 3 cost creatures and a Puppet Strings. First play for Daniel. Daniel had a few bad encounters, including his first flying nasgul attack being straight into Legolas’ bow. Eventually, Frodo could slip sideways and pass his remaining creature to make it into Mordor. Gili suggested this for our little company. I’m not sure about the right strategy, but apparently whatever I did worked in this game. Gili’s bonus card was the one for defeating black cards, and she attacked them fiercely, which kind of gave it away. Mine was meeples on the cards, which Nadine guessed. Nadine’s was influence, which no one guessed, because she ended with 0 influence (as did Gili; I eked out 1 point from her card). All of our dice rolls were pretty bad. I had a little synergy working with a white card that gave me high yellow count, and several yellow cards. Gili had synergy with the red dice, but not enough to make up for the poor dice rolls. Also, people fought me for the white dice less than usual. Haim and Shira usually can’t come Wed nights, but found time to join us tonight. David continues his winning streak. I drafted a deck with many flyers and a scant amount of delaying and creature control. David drafted big creatures and a scant amount of direct damage. I was hampered during the game by lack of the right mana, and not quite enough of it. Possibly I may have been able to win the second game, but we didn’t have much time left before the others would arrive. First play for Haim Gu, and the others hadn’t played in a while. It’s a pretty quick game. Nadine’s strategy during the first phase was to always bid unless she was out of money. Haim’s strategy during the second phase was to play his houses in order from least to most expensive. Second play for David, first for Preston. We played through the first phase, by which point I was ahead in income and behind in population. David was looking unsatisfied with his progress, and asked to restart, which we were all willing to do. This time David shot ahead in income and basically smoked us throughout the game.He captured the tile that keeps his reputation from dropping on the population track, and he also captured two out of the three public bonuses. He didn’t get his hidden bonus – both of us did, and they were each worth 20 points – but, as you can see, that didn’t matter. At the end, they both said they liked it. First play for some of them. First play for Shira and Haim. Good job, Shira. I taught this to David, struggling to remember the rules which I was getting confused with Honeymoon Bridge. Eventually I figured them out, and we played two hands. David won the first hand by a small amount and the second one by a larger amount. Something to do as the evening closes. David and I ended up in front, at 31 points each. We played one more round and David scored an extra point. Tal and Nimrod are first time attendees. Avi and Nati came back for their second visit. I took an early large number that helped me avoid most other cards for the rest of the game. David tried for one too many inside straights. We played this in two parts, stopping to play 7 Wonders between rounds 3 and 4. I suggested this since I hadn’t played in a while. I’m not a fan of the hidden win conditions aspect. But mostly, David kept taking exactly the dice I needed, sometimes – apparently – by accident. For example, I needed a white 3, and he had an extra influence point he needed to spend (to make room for more he was about to get) so he re-rolled the die and got a 6. 6 is better than 3, unless you need that number exactly for adding a cube to the 3rd column in the castle. I also forgot about a few of the rules before play, and so missed a few opportunities for better plays. First play of this co-op by everyone. They lost. Gili said it was somewhat frustrating. They included the expansion cards. First play for some of them. These guys came late, and someone was supposed to come (turned out that he had already come and I hadn’t noticed). I taught them this filler and they played until my roommate Eitan showed up and convinced one of them to play Chess. I didn’t see how this went. I taught this to Tal and Nimrod. Tal ended at least 10 points ahead of anyone else, which was amazing. Nadine and I did science. Tal had a complete military set, and I started out with some too, but David on my right built more than I did. In the end he misplayed and lost the last military battle to mine. I had a smattering of other things as well. Nimrod’s points were all in blue cards. Welcome back Gili after her vacation. Also nice to see Eyal and Nitzan return. Eitan is my roommate who does not yet play games, but may someday. But he plays Chess. 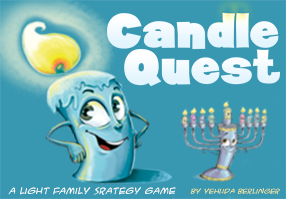 Gili was given two games from Israeli game companies to review on her Hebrew video review series. This was one of them. The other had cubes. I taught this to both of them. Nitzan is a fan of speed games, and she did very well, winning both games. I didn’t see how this played, but at one point Gili was getting only a single die to play with and she needed to use it to combat the black cards. And yet she seems to have handily won. Nadine: First play for Shneur who caught on well, Gili was first player which is an avantage. Many dice were bought or stolen which hurt David and me more than the others. Aaron requested to play this. First play for Eyal and Nitzan. Aaron was under the impression that this would take a long time to teach, but it didn’t. It took 2.5 hours to play, however. Partly that was because Aaron analyzed every possible move before each play, and – since they were new players – often helped Eyal and Nitzan to do the same. I did a bit of this, too; at one point. I twice argued that it was better for other players to help themselves – and help me – rather than block both of us, since this would move us both forward. However, at some point it is best to let people just play and learn, or you end up playing for them. With all of his analysis, Aaron still made a few mistakes. He also failed in his first discovery attempt, which hurt. Aaron started with the first building, which was the “gain $20 and therefore effectively buy two more buildings” building. He also got first crack at everything else, and then he got the “$5/round” building round 3. It was his game to lose, which he managed to. He was the first to put soldiers on the board, but his territory was outmatched by Eyal who had buildings giving him a free missionary every round and an extra colonist for each missionary. Aaron’s income was on par with Eyal’s, but he had few discoveries. I was excelling in discoveries and buildings, and I was second to Eyal in board points, but his income was far better; I always bought a building when I wanted to, but his extra points on the board and extra points for income outclassed my extra points for discoveries/buildings. Just barely. Eitan is always willing to play Chess. He apparently easily outclassed Sheur in a series of games. They stuck to the base cards. David ended the game with 9 production buildings, Library, Guild Hall, and something else.